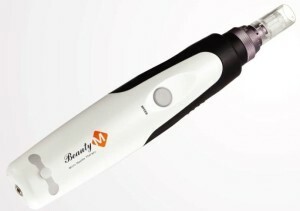 Mesotherapy with Beauty-M Micro-Needling Device. At Irina’s Euro Esthetics Clinic, we perform our Micro- Needling Skin Treatments using the most advanced technologies and skin care products currently available. Beauty-M Micro-Needling, also known as Automated Micro-Needling, is a non-laser treatment used to resurface the skin. Automated Micro-Needling (also known as Collagen Induction Therapy or CIT) is a new innovation in aesthetic medicine for treating the appearance of fine lines, acne scars, and improvement of the skin’s overall appearance. 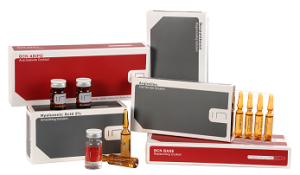 Mesotherapy is a medical technique that originated in 1952 by Dr. Michel Pistor, a French physician. The term itself uses Greek “mesos” and “therapeia” to describe methodology that applies non-surgical medicinal treatment techniques to the ‘middle’ layer of the skin. 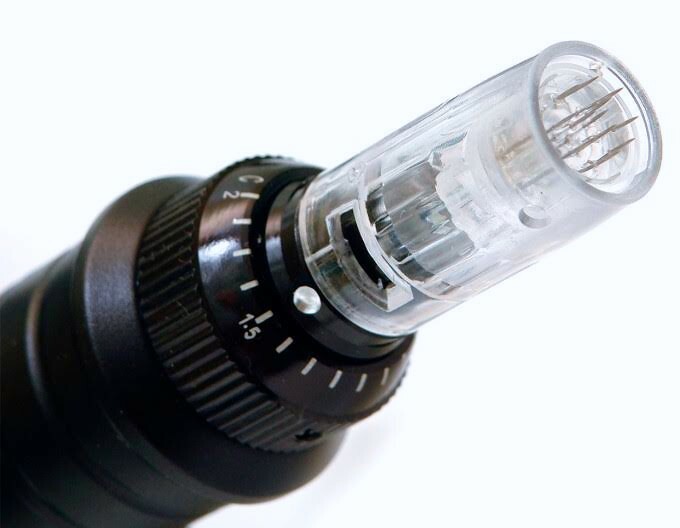 Mesotherapy describes a range of techniques that may be applied to a wide range of maladies, but in the case of Beauty-M Micro-Needling Device, the method is cosmetic. The “mesotherapy-effect” of Beauty-M Device stimulates the skin to produce collagen and elastin without removing the top layer of skin. Beauty-M Device does not inject serums or solutions; it only permits deeper infusion of topical applications (e.g., anti-aging serums) thereby increasing effectiveness. What is Micro-Needling Skin Therapy? Micro-Needling Skin Therapy with Beauty-M Device is a very safe and effective alternative to injectables and the invasive lasers used today. The results are long term and the recovery time is minimal. Micro Skin Needling is a cost effective, non-invasive, non-injectable skin rejuvenation treatment that targets a diverse range of skin concerns. This procedure uses a device with microscopic needles between 0.25mm and 2mm. A sterile needle-tip containing 12 tiny micro-needles is attached to the Beauty-M Device. During the treatment the device is gently glided over the skin, tiny punctures are created within the epidermis and dermis that encourage the skin’s own natural healing response leading to the production of collagen and elastin. Collagen is what your body produces to keep your skin healthy. The “mesotherapy-effect” also greatly increases penetration of therapeutic topical serums and other applications that contain multi-peptides, vitamins, liposomal, herbs, and hair growth formulas. Clinical studies from Europe, U.S. and South Korea have proven that Micro-Needling Skin Therapy increases serum absorption by as much as 1,000 times. Beauty-M Device can be used on all parts of the body; Face, neck, décolleté, arms, hands, legs, abdomen and back. The Micro-Needling Skin Treatment improves the appearances of acne and surgical scars. The micro needles of the Beauty-M Device create new collagen and elastin to be generated and deposited in the areas of the scar. The physical nature of “skin-needling” breaks up this fibrous and uneven scar tissue and stimulates the growth of new tissue. In addition, there is the added benefit of new capillary growth, which improves the blood supply to the area providing a healthy foundation for the new skin. Currently there are ablative and non-ablative treatments offered which can damage the epidermis and evaporate the skin leading to a thinner epidermis. The Beauty-M Device keeps the integrity of the epidermis intact, which quickens healing time and causes less pain. As we age the natural production of collagen and elastin diminishes which leads to wrinkles, and sagging. Wrinkling in the skin is also caused by habitual facial expressions, aging, sun damage, smoking, poor hydration, and various other factors. The Beauty-M Device promotes a process of new skin growth through the science of Collagen Induction Therapy. The most effective way to stimulate or “Induce” new skin safely and effectively is by micro needling with the Beauty-M Device. Beauty-M Skin Needling Treatments not only target specific imperfections but also provide an overall rejuvenation of the skin. The needling process improves microcirculation in conjunction with collagen and elastin formation beneath the skin to thicken the dermis reducing wrinkles. You will notice improved skin texture, more even skin tone as well as an overall brightness to your skin. Undergoing a series of Beauty-M Skin Needling Treatments will not only provide visible results to the entire appearance of your skin but it will slow down the signs of aging. The Beauty-M Skin Needling Treatments will result in a more refined appearance of the pores. Two main culprits contribute to the appearance of enlarged pores. The first culprit is congested skin. When your pores are congested this will increase their appearance. Secondly, pores will appear larger as our skin begins to age and the elasticity of our skin decreases. The Beauty-M Skin Treatments stimulate collagen and elastin which results in firming of the skin thereby reducing the appearance of large pores. Stretch Marks are a form of scarring on the skin with an off-color hue. They are caused by tearing of the dermis, and over time can diminish but will not disappear completely. The Beauty-M Skin Treatment offers a progressive and natural solution to stretch marks. The treatment stimulates healthy collagen and elastin production in the deeper skin layer to repair the damaged areas with the release of growth factors and stimulation of fibroblasts. Everyone will experience improvement in the appearance of their stretch marks with the Beauty-M Treatment but results are individual and depend on the severity, age and extent of the stretch marks. Early red stretch marks will result in the most improvement. Even the first treatment with Beauty-M Micro-Needling will show some enhancement. Real differences are achieved with monthly clinical treatments. After the third treatment in conjunction with weekly application, a patient will notice significant changes. The full effect is achieved after 5-10 treatments depending on the extent and area to be treated. Ablative treatments like microdermabrasion, chemical peel and laser re-surfacing to do one thing: remove the protective epidermis to force the body to produce a new tissue layer. However, once the epidermis is removed the lower levels of skin are completely exposed – vulnerable to environmental contamination from dirt, dust, and bacteria. Certain risks must be accepted with these procedures: pain, long-term discomfort, long prevailing inflammation and redness, long healing period, extreme light-sensitivity for a month or more, possible irreversible pigment changes and even additional scarring. Ablative treatments have their limits. Due to different skin structures on neck for instance, laser re-surfacing may not be possible. Moreover, because these treatments leave the skin thinner, in some cases these procedures may actually age the skin. Beauty-M Micro-Needling Device far more ‘skin friendly’ by doing far less damage and thereby encouraging faster, longer-lasting positive effects. Since the skin can recuperate faster after Micro-Needling Treatment- often hours after treatment – the patient may see noticeable positive results sooner. Only 3-5 days protection from ultraviolet light. 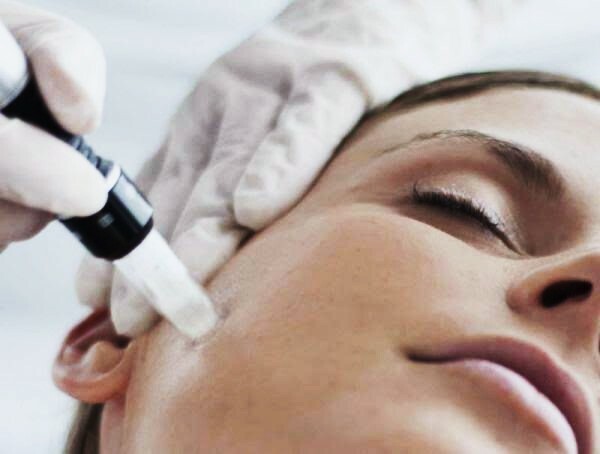 Skin needling has been used with success for lower-eyelid wrinkles, upper-lip lines, facial wrinkles, and photo-damaged skin on the arms, abdomen, and legs. It is also useful for reducing the appearance of stretch marks so that they become almost invisible and to reduce the dimpling appearance of cellulite. It is particularly useful for acne scars and post burn scars. The scars will flatten and, after a few treatments, the mesh marks of skin grafts will be less obvious. Gift Certificates are available for single services, packages or in dollar amounts for men, women and teenagers. Ideal for Christmas, anniversaries, weddings, birthdays, graduation or any occasion and give the gift of life-changing, long-lasting great skin. Gift Certificates are valid for one year, transferable but not refundable, must be used before expiry date and presented with service. 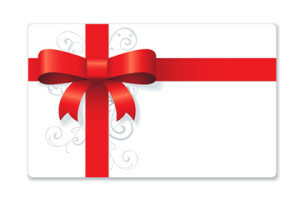 Purchase a Gift Certificate and give your friend or family member the gift of great skin.